Adam Smith (1723-1790) was born in Kirkcaldy, Scotland, and began studies at the University of Glasgow. Three years later he entered Balliol College, Oxford, where he remained as a scholarship student until 1746. After leaving Oxford, Smith returned to the University of Glasgow to lecture on English literature and economics. The publication, in 1759, of his Theory of Moral Sentiments led to Smith's appointment as tutor to the third Duke of Buccleuch. In this capacity he lived for nearly three years in France, where he made the acquaintance of several of that nation's leading intellectuals, including Francois Quesnay, the physician and economist, and the renowned philosopher and critic of religion, Voltaire. 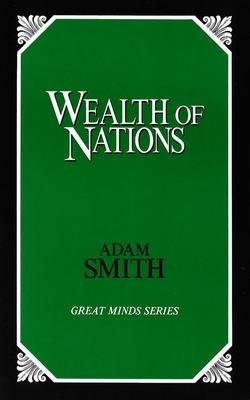 Returning to Britain in 1766, Smith lived mainly in Kirkcaldy and London, working on his Wealth of Nations, which was published to great accliam in 1776. Adam Smith died in Edinburgh on July 17, 1790.